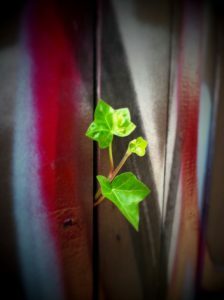 Ivy finding a path through the fence…photographed on one of my walks through our Queens neighborhood. I lived in Queens NY for many years. NYC is where I went to grad school for art therapy and began my career as an art therapist. The city held many possibilities and I had countless experiences there. However, one of the things I missed most while living in the city was nature. As much as I loved spending time in Central Park and other parks, I missed the ocean, getting lost in the woods, or being able to step outside and right into a backyard. The longer I lived in the city, the more I began seeking out nature in the smallest of places. Whenever I walked around our neighborhood I would pay extra attention to any plants, trees, or animals I came across. Some of my favorite discoveries were of little wildflowers growing out of the pavement, hidden gardens behind neighbor’s fences, or ivy tendrils poking through fences along the sidewalk. I was struck by how resilient and persistent the nature in the city was. Nature adapted to life in the city, much like people adapt to the places they live. Now my family and I live in Massachusetts and I have plenty of access to a backyard, woods, the ocean, farms, and rivers. However I still think about the glimpses of nature that I came across in the ‘concrete jungle’ of NYC. Lately I’ve been using the inspiration from my city walks by incorporating it into some of my art therapy groups. A tiny wildflower growing through the concrete. ‘Positive psychology is the scientific study of what makes life most worth living. It is a call for psychological science and practice to be as concerned with strength as with weakness; as interested in building the best things in life as in repairing the worst; and as concerned with making the lives of normal people fulfilling as with healing pathology. 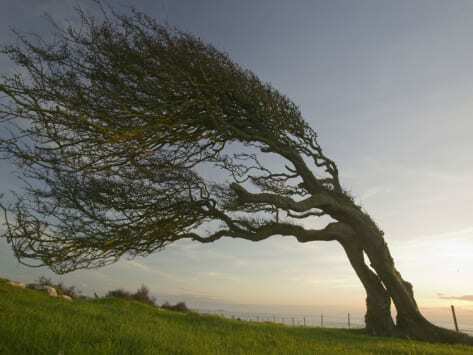 A tree that learned to bend rather than break. When doing art therapy work with a positive psychology lens, I keep returning to the theme of resilience. Resilience is a process of moving through difficult or traumatic experiences and adapting and growing. 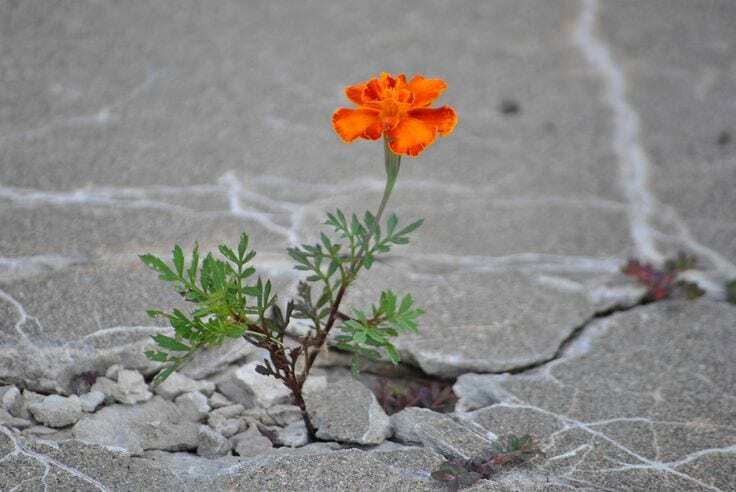 Resilience can be cultivated in individuals and strengthened. Part of that process involves helping clients realize the ways in which they are already resilient. Within the predominant medical model of mental health, there is usually a focus on ‘what’s wrong’ with people and how to fix it, rather than ‘what’s right’ with people. I believe that a well-rounded approach to mental health must embrace both areas. All of us have room for improvement, but it’s also important to spend time acknowledging the strengths and positive qualities that we already possess. I was finding that many of my art therapy group members had a hard time identifying positive aspects of themselves. Many of them are experiencing a psychological crisis and currently overwhelmed by stressors. I realized that using the metaphor of resilience in nature could be a useful emotional bridge within a group setting. Do they remind you of anything? Have you ever seen nature like this yourself? Is there one image that you find yourself particularly drawn to and why? How did these (flowers, trees, rocks) have to adapt in order to survive? Usually the group members automatically pick up on the shared theme of resilience. Even if that word is not mentioned, other words such as ‘strength, flexibility, and enduring’ come up. I spend a few minutes talking about resilience and how it relates to positive psychology and our work in this group. 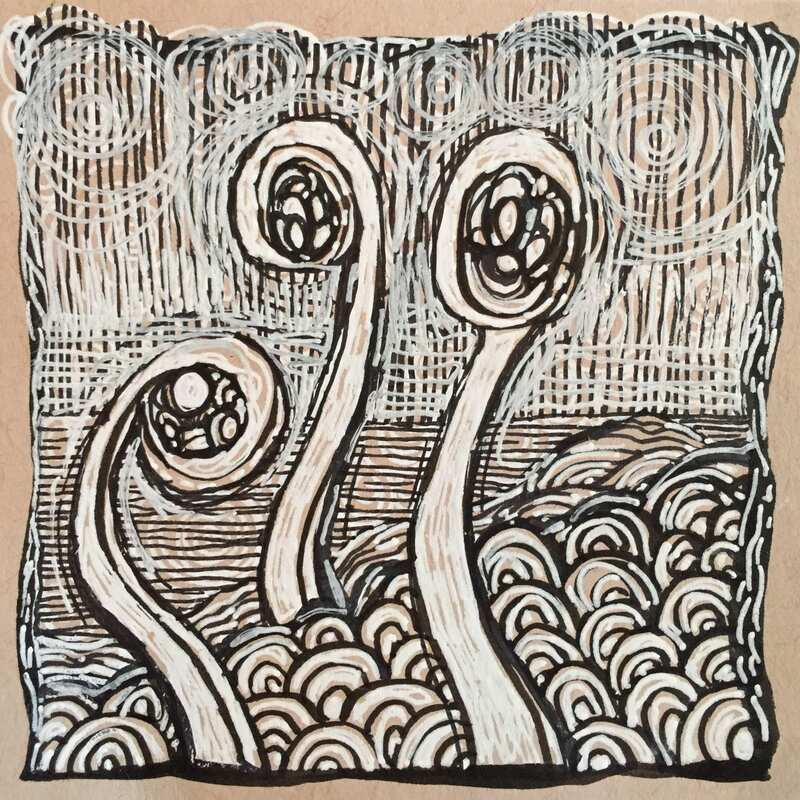 A drawing I made of ferns unfurling after being flattened by a footprint. True resilience! After discussing the images and talking about the theme of resilience, I ask each person to think about the ways they are resilient. Once they have thought about themselves in this way, I ask them to come up with an image from nature that represents their personal resilience. It’s a symbolic self-portrait, using nature for inspiration. I encourage them to come up with a unique example from nature that might be different from the photographs we explored. Sometimes a client has a hard time coming up with their own image from scratch, and so I tell them it’s ok to borrow directly from a photograph that resonated with them. I encourage them to draw it mindfully while paying attention to the small details they might add. 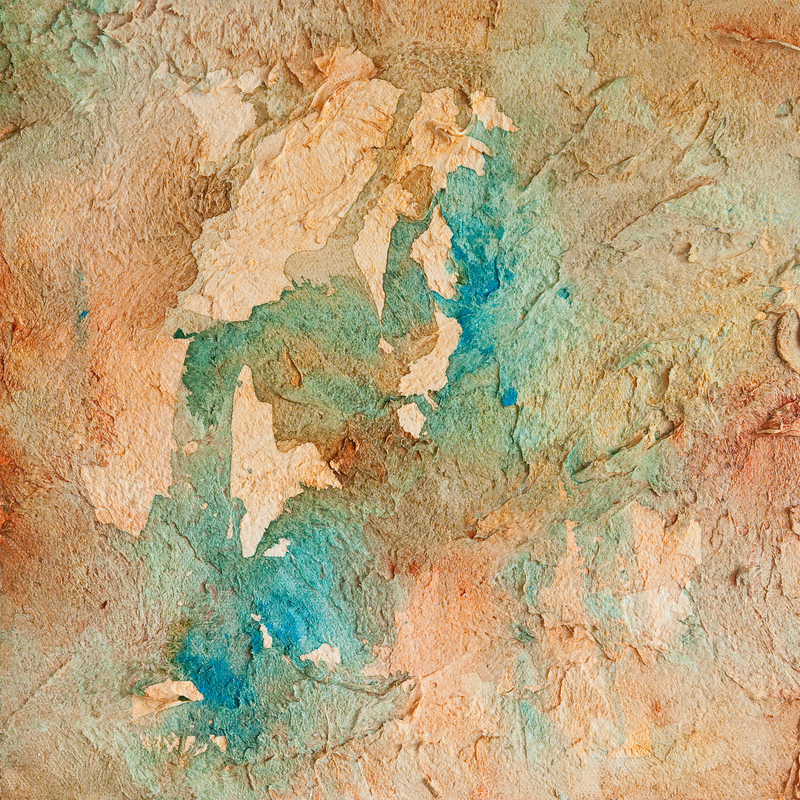 In terms of art materials, I have done this with both wet materials such as acrylic and watercolor and dry materials such as colored pencils, oil pastels, and markers. Painting tends to evoke more feelings and greater discussion. Since I don’t always have long group time slots at the hospital, I have found that watercolor crayons can offer a happy middle ground between drawing and painting. They can be dipped directly into water to create a watercolor style line or you can draw with them and then go over the drawing with a wet paintbrush. 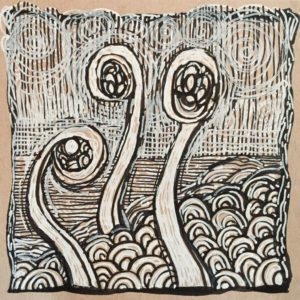 While group members work on their drawings or paintings, there tend to be organic conversations about the images that are emerging. I enjoy helping the clients process their observations and experiences in the moment by asking questions that help them move more deeply into their art. I always leave time after everyone has finished their art to collectively view and talk about the work. Part of the power in art therapy groups is witnessing one another’s art while sharing experiences. I’ve found that this art therapy directive has led to some of the most moving group experiences I’ve experienced at the hospital. 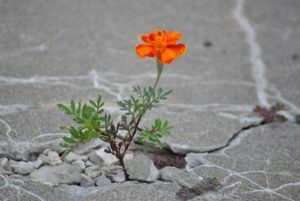 I think this has to do with the group members feeling seen through their resiliency images and acknowledged for their struggles as well as their inner strength. Using nature as a metaphor helps clients create deep personal meaning, without having to disclose specific traumas within a short term acute setting. As always, I love hearing your experiences – whether personal or in your own art therapy work with clients. Have you explored resilience using art or any other creative modality? 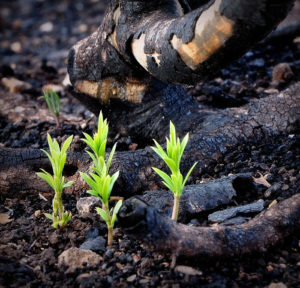 Which examples of resilience in nature do you personally identify with? Next time you’re out for a walk – whether in the city or out in nature – keep your eyes open for your own examples. They’ll probably start popping up everywhere! New growth after a forest fire.